Just Jingle: It's Okay to Use Fun Products on Sympathy Cards. I promise. 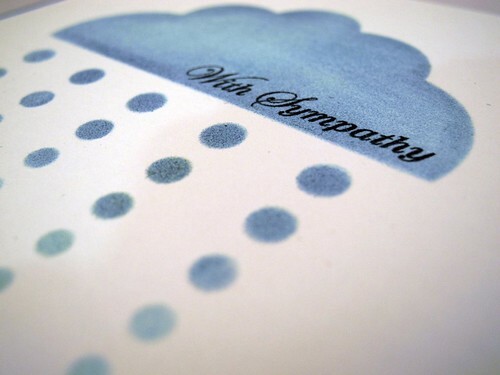 It's Okay to Use Fun Products on Sympathy Cards. I promise. It's not fun to have to make a Sympathy card, but when I create them I do try to make them very nice. It's funny...sometimes I think I shy away from products that have a 'fun' feel to them just because I'm making a sympathy card. For this one, I decided to use a fun product, but just make it fit for the subject of the card. I LOVE this cloud and raindrop stencil from Retro Cafe Art! I kept the design simple (I know..you are shocked! HA!) by inking the stencil on a white panel. I used a couple different distress inks and I love how pretty the color turned out! I then simply added the sentiment(Skipping Stones) in black over the inked cloud to finish the card. SUPER simple, but I think it conveys the perfect calmness that I was going for. Have a super fabulous day! We got covered in snow last night and it's STILL coming down! Craziness!!!! love your sympathy card!!! i have a hard time with those! great inspiration! I'm like you~hard card to make but you achieved it ~ very sweet!!!! What a great idea for a sympathy card!!! I love it! I think the card conveys the sense of peace and calm, perfect for a sympathy card. Great job! 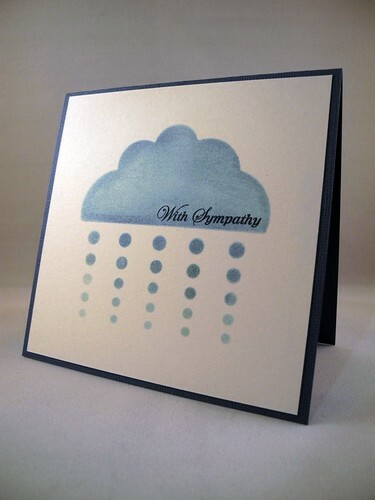 Beautiful card... that cloud and raindrop stencil is perfect for a sympathy card... and so pretty in the blue distress inks... love it!! 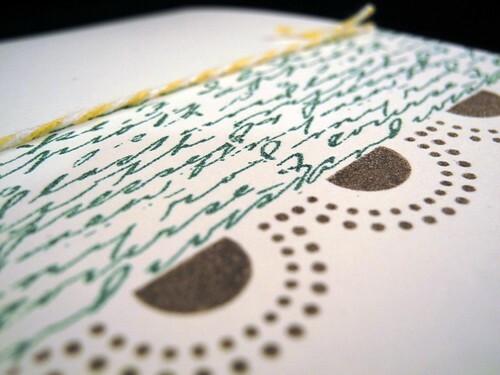 beautiful sympathy card, the stamps work so perfectly! fabulous sneak peek too! This is a beautiful card, the rain reminds me of teardrops! Ah, I love the sympathy card. The image is perfect - turned out great! Wonderful idea! Makes me rethink sympathy cards. this is a wonderful sympathy card!! Off to check out the other site and see your tutorial! Sympathy cards are always hard. Your card is so calming. I really do think this is a lovely sympathy card.